J & P Contractors, Inc.
Mirell & Co. Construction, Inc. Whether you are constructing a new home or fixing up an old one, hiring a home builder in Chicago is serious business. Residents in the Windy City will, of course, have a lot of decisions to make when building or completely refurbishing a house; with the right home builder, Chicago residents will be able to take a lot of the headache and guesswork out of this incredibly varied and often difficult process. If you are in the position to construct the home of your dreams, picking a good home builder is an essential part of getting the results you want. For those looking to construct their dream home designed from the ground up, your options will be very limited inside the Metro Area. Empty space in the city is scarce at best, and finding a plot to construct a new home (without tearing something down, which is an added expense that most people would simply rather not pay) is extremely difficult. Your dream house can become a reality, however, if you don't mind putting a little distance between you and The Loop. 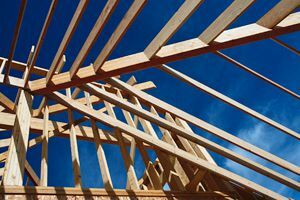 In many cases, new home builders in Chicago focus on developments, which, because they are somewhat mass produced, are substantially cheaper. However, in places where there is land to be had, a custom home builder can create your dream home to your exact specifications. The difference between a home that is custom built and a home that is customizable is enormous when you see them put side by side; unfortunately, this attention to detail will not come cheap. For most Windy City residents looking to create a home that is truly designed for their needs, remodeling an existing property is a more practical way to go. Custom Chicago home builders are well-equipped to fix up a run-down property that has lots of potential, and hiring a home builder rather than searching for several different contractors can be very convenient. Instead of trying to find a plumber to upgrade the pipes, a roofer to replace materials and fix leaks, an electrical contractor to ready the property for 21st century use, and any number of carpenters, painters, and other specialists, you can hire a single Chicago home builder who you can relate with. He or she will have the connections and knowledge of sub-contractors necessary to complete your project to your specifications, and you will have a person you can trust to make sure that every aspect of the job is done right. There is little to say about the price of constructing a brand new home in the Chicago area except that it is expensive. Purchasing a home in the Chicagoland area averages less than $300,000, and there are certainly properties available for much less; to build a custom home in Chicago will be much more expensive, and will likely increase in cost the closer you get to The Loop. Once again, if you want to build a home that is exactly what you've always wanted, amazing things can be done with existing properties. Finding a "fixer-upper" in the perfect neighborhood can be a long and drawn-out process, but if you have the time, it is often worth the wait. Comment: I would like to get an estimate for building a new home. Chicago New Home Builders are rated 4.91 out of 5 based on 55 reviews of 18 pros. Not Looking for New Home Builders Contractors in Chicago, IL?